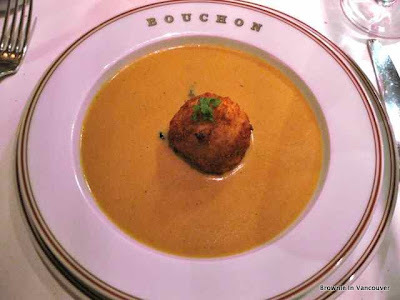 We made reservations 2 months in advance and were really looking forward to dining at Bouchon. The interior looks like a plush french bistro, warm, lively and bustling. 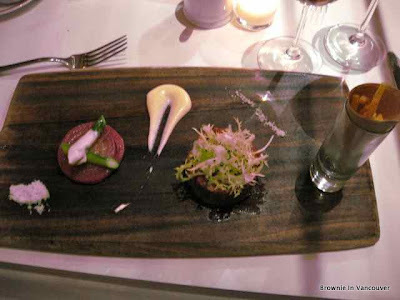 We wanted to try so many things that we both decided on having a salad, soup and a main. At the end I had no space for dessert which is a rarity as I have an extremely sweet tooth. 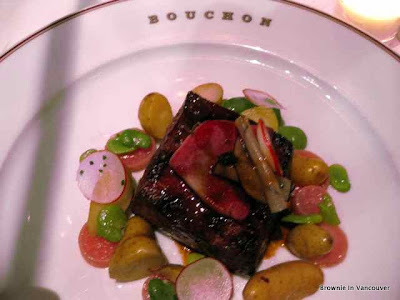 I usually can't say no to pork belly so I started with the glazed pork belly - this was the best dish of the day, as I loved the flavours of the salad, especially how well the pickled cherries went with the savoury. The lobster bisque came a very close second. 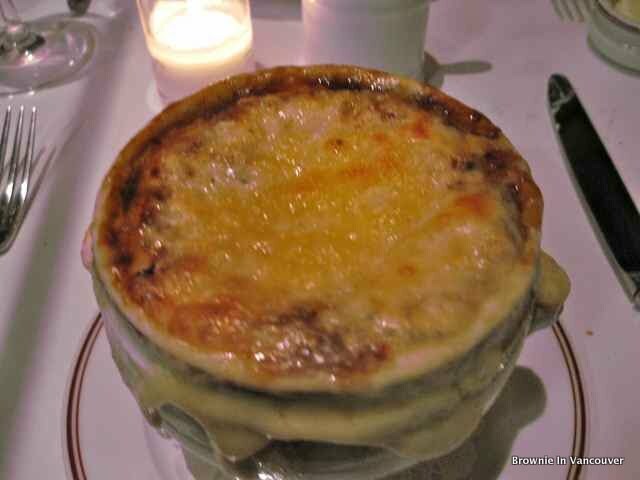 The onion soup was a bit bitter for my taste and D finished most of it for me. As my main arrived, I eyed my neighbours mussels and fries. Next time perhaps - I can't resist fries. 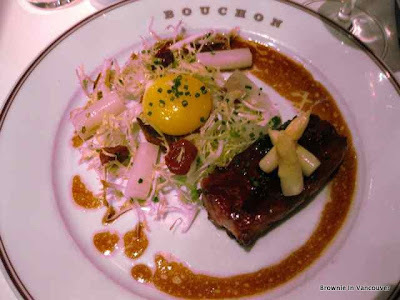 There is so much hype about Thomas Keller and Bouchon that we had very high expectations. For French bistro food, the dishes were well executed and tasty but there wasn't a dish that really wowed. 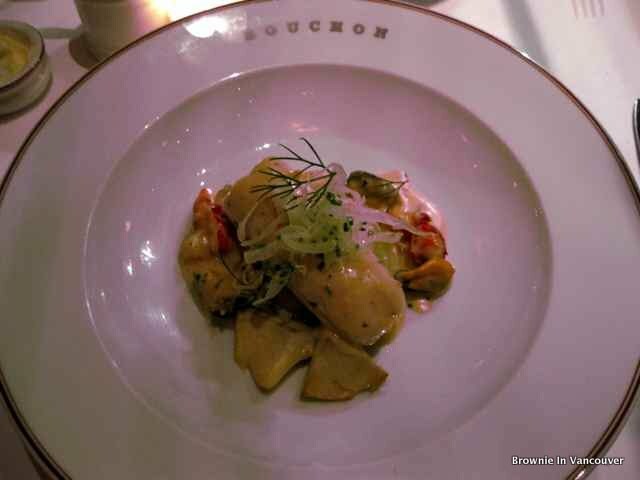 The bread was very good and is baked by Bouchon Bakery next door which supplies bread to French Laundry and Ad Hoc as well. Regardless, dining at Bouchon is still an experience that you shouldn't miss.